Puerto Vallarta’s LGBTQ community celebrated with a pride week filled with events from May 21-28. Vallarta Pride drew a record number of 7,000 attendees to its parade and first-ever Block Party. 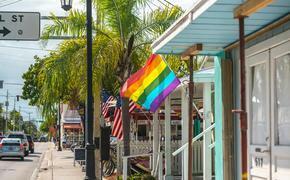 The week was celebrated in the “gayborhood” La Zona Romantica as well as in neighborhoods and hotels around the city. Returning Vallarta Pride event favorites included the Fashion Show, Pulpito’s Drag Derby, pool parties, circuit parties with international DJs, film projections, a health fair and the traditional Pride Parade, all of which took place throughout the week. The parade was on May 24 and began at 8 p.m. The procession began at the Hotel Sheraton Buganvilias with Mayor Arturo Davalos Contreras becoming the first Puerto Vallarta mayor to walk the parade route. Joining him along the parade route was his wife, the president of the DIF System, Candelaria Tovar of Davalos as well as city councilors, Puerto Vallarta city officials and tourism police officers. This year’s Grand Marshal was singer Johnathan Celestin, and other notable attendees included visual “artivist” Daniel Arzola; the ambassadors of Vancouver Pride; director and producer of the documentary 'Beyond Gay', Robert Christie; Martha Dau, who was the local ambassador of Vallarta Pride; and vloggers Bria & Chrissy. The parade proceeded along the Malecon and culminated on Lazaro Cardenas street where the Block Party began, hosted by Fiesta Bar, La Noche, Mr. Flamingo, Los Muertos Brewing, CC Slaughters and La Margarita. Revelers were met with circuit music, multicolor lights, go-go dancers and fireworks for a party that didn’t wrap up until dawn. 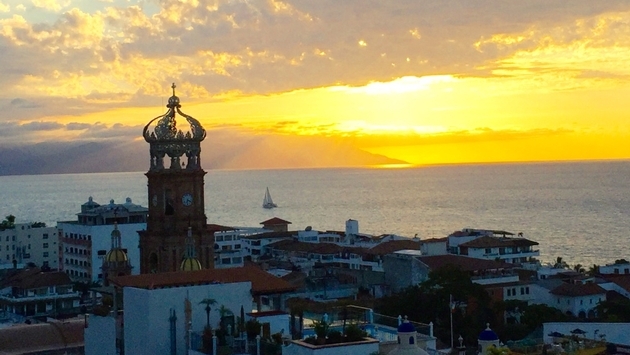 The Vallarta Pride celebration is a symbol of the importance of the LGBTQ community to the overall fabric of Puerto Vallarta. Earlier in the year, the city committed to its support of its LGBTQ visitors and residents with the creation of the Gender Equality Office. Hoteliers, business owners and tourism operators also took a SECTUR LGBT certification course. The LGBTQ community is a large part of the Mexico travel market. It attracted 2.9 million LGBTQ tourists last year who spend, on average, $765 in the country, which is 60 percent more than other travelers. How Do Queer Families Choose a Destination?